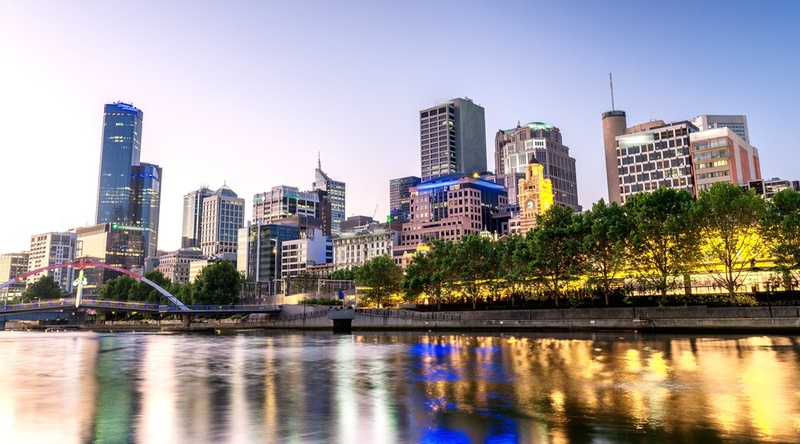 Air Canada’s new seasonal route to Melbourne has yet to launch, but demand for the new service from Vancouver to Australia’s second largest city is so high the airline has made the decision to convert it into a year-round service. The new seasonal service was initially announced in May 2017 as a four-times weekly service commencing on December 1, 2017. But beginning on June 1, 2018, it will be upgraded into a year-round service. Flights will leave Vancouver International Airport (YVR) at 10:45 pm on Wednesday, Friday, and Sunday and arrive at Melbourne Airport (MEL) at 7:55 am two days later. For return trips, flights will leave MEL at 9:40 am and land at 7:35 am on the same day. Air Canada already operates separate year-round daily, non-stop flights to Sydney – one of the world’s longest commercial flight routes – and Brisbane, which began in 2016. The Brisbane service was so successful that the airline increased its frequency from three times weekly to year-round daily just a few months after its launch. As well, Air Canada will bolster its existing year-round route to London Heathrow and the seasonal non-stop route to Delhi, India. Flights to Delhi will operate up to five times weekly for the season starting on October 14 while the service to Heathrow will be upgraded to a twice-daily route for summer 2018. Both services to Melbourne and Delhi will only use the new Boeing 787 Dreamliner aircraft. Aside from the route’s demand potential, the airline also credited the operating economics of the Dreamliner aircraft and Vancouver Airport Authority’s strategies of lowering the operating costs for airlines using YVR. Earlier today, the airline also announced plans to start seasonal services to Paris, France and Zurich, Switzerland beginning in summer 2018. A number of new major Vancouver services have already been rolled out by Air Canada this year to date, including: Taipei, Taiwan (year-round); Frankfurt, Germany (seasonal); Nagoya, Japan (seasonal); London-Gatwick, UK (seasonal); Dallas-Fort Worth, Texas (year-round); Denver, Colorado (year-round); and Boston, Massachusetts (seasonal). The airline also plans to launch seasonal flights to Yellowknife, Northwest Territories and Orlando, Florida starting on December 15 and 20, respectively. June 10, 2016: Dublin Airport – Air Canada to begin seasonal, three times weekly non-stop flight service. December 1, 2016: Mexico City, Mexico – Aeromexico increases weekly flights from 14 to 20. December 20, 2016: Nanjing, China – China Eastern Airlines to begin three times weekly non-stop flight service. December 30, 2016: Hangzhou, China via Qingdao, China – Beijing Capital Airlines to begin three times weekly service. February 5, 2017: Dallas-Fort Worth, Texas – Air Canada to begin daily service. March 28, 2017: Hong Kong, China – Cathay Pacific increases weekly flights from 14 to 17. May 1, 2017: Phoenix, Arizona – Air Canada to begin daily service. May 18, 2017: Denver, Colorado – Air Canada to begin twice daily service. June 1, 2017: Nagoya, Japan – Air Canada to begin seasonal three times weekly service. June 1, 2017: Frankfurt, Germany – Air Canada to begin daily service. June 8, 2017: Taipei, Taiwan – Air Canada to begin daily service. June 8, 2017: London, UK (Gatwick Airport) – Air Canada to begin three times weekly service. June 23, 2017: Boston, Massachusetts – Air Canada to begin daily summer seasonal service. June 30, 2017: Hong Kong, China – Hong Kong Airlines to begin daily non-stop flight service. October 14, 2017: Delhi, India – Air Canada’s service to be upgraded to up to five times weekly. October 29, 2017: Huatulco, Mexico – WestJet to begin weekly non-stop flight service. October 29, 2017: Kona and Kauai, Hawaii – WestJet to start seasonal service earlier than usual. December 1, 2017: Melbourne, Australia – Air Canada to begin four times weekly non-stop seasonal service. December 15, 2017: Yellowknife, Northern Territories – Air Canada to begin daily non-stop service. December 20, 2017: Orlando International Airport – Air Canada to begin twice weekly non-stop seasonal service. January 1, 2018: Reykjavík, Iceland – Icelandair to upgrade existing seasonal service to three times weekly year-round service. June 1, 2018: Melbourne, Australia – Air Canada service to be upgraded into three times weekly year-round. June 7, 2017: Zurich, Switzerland – Air Canada to begin three times weekly seasonal service. June 8, 2018: Paris, France – Air Canada to begin four times weekly seasonal service.